On arrival at Ahmedabad Airport / Rly station, transfer to Jamnagar. On arrival check in to the hotel. In the afternoon visit Lakhota Lake & Lakhota Museum and Bala Hanuman Temple. Evening is free for Shopping. Overnight Stay at the hotel. 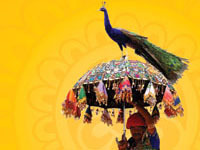 Today, proceed to the sacred town of Dwarka. 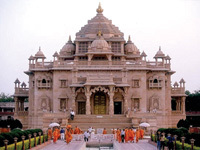 Visit Dwarkadeesh Temple and Gomti Ghat. 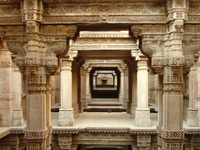 In the afternoon take a trip to Bet Dwarka, visit Old Temple of Krishna. 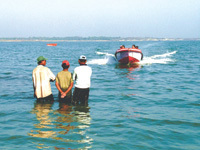 the trip from Okha on the mainland to the temple is by a local boat. 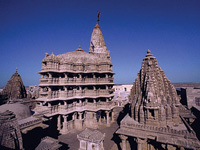 On the way to Bet Dwarka, visit Nageshwar Temple – One of the 12th Jyotilingam of Shiva. Rukmini Temple and Gopi Talav Return back to Dwarka. Overnight stay at the hotel. 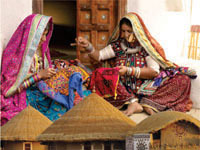 In the morning depart to Porbandar (75km/1.5hrs) at Porbandar visit Kirti Mandir – A place where Gandhiji was born. 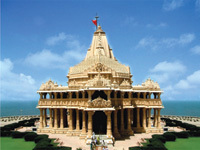 Later proceed to Somnath (130km/2.5hrs) on arrival visit Bhalka Tirth & Somnath Temple. 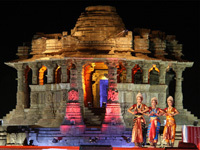 In the evening watch light and Sound show. Overnight stay at the hotel. Today, Proceed to beach town Diu. The day is at leisure to laze and relax on the beach. Overnight stay at the hotel. 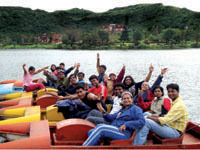 The morning is at leisure to enjoy the wide variety of water sports facilities available at Nagoa Beach. 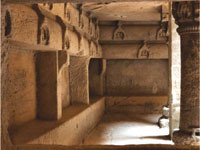 Later, visit St. Paul's Church, Diu Museum and Diu Fort. Overnight stay at the hotel. Today, proceed to Sasangir. 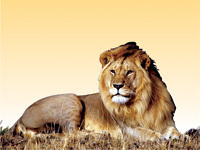 Sasangir, is the home of the Asiatic Lion. In the afternoon Visit Gir Interpretation Zone at Devaliya. Crocodile breeding farm, Gir Information centre. 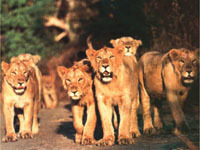 Watch movie on lion at Gir Information centre in the evening. Overnight stay at the hotel. 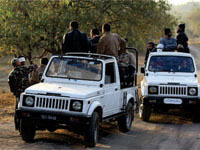 Today, morning get ready for open Jeep Safari in the Gir National Park. 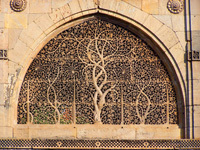 Later proceed to Junagadh. 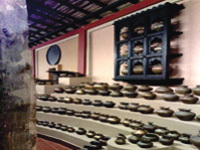 visit Uperkot Fort, Ashok Rock Edict, Mahabat Makabara and Junagadh Museum. In the evening transfer to Rajkot. Overnight stay at the hotel. 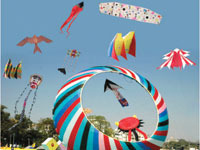 Today, proceed to Ahmedabad. 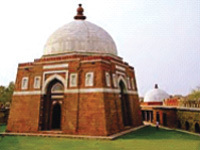 On arrival visit Gandhi Ashram, Akhsardham Temple and Adalaj stepwell. Drop in the evening at airport or Railway. 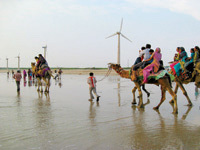 Explore Holidays at Saurashtra, Gujarat. 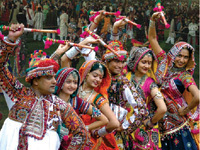 Find best deal of saurashtra tour package, saurashtra holiday package. 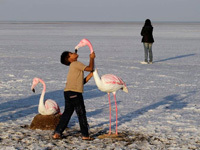 Get Family holidays plan for Saurashtra tour packages, Email us at info@mysticgujarat.com or Dial Toll free no at 1800-532-2002.